Women Brushes of 1900 | Free Photoshop Brushes at Brusheezy! 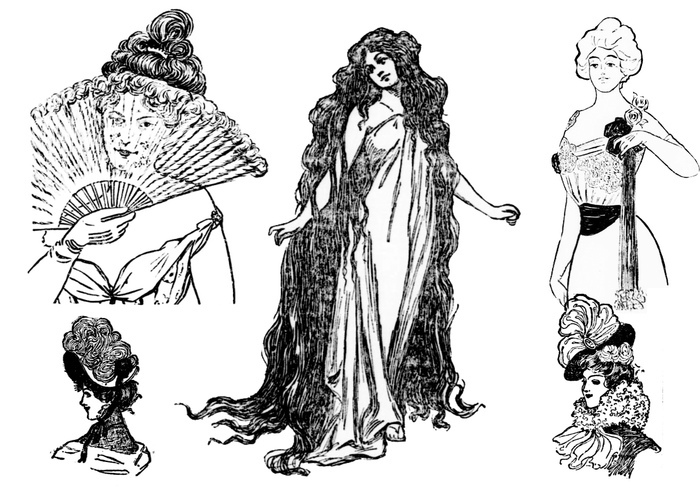 Women Brushes of 1900 - All images are courtesy of the Library of Congress (loc.gov) / From The St. Louis Republic, various issues from January 1900. edit: These brushes are taken from newspapers that are in the public domain and are provided by the Library of Congress as part of the Chronicling America series. >>The images that I extracted are from newspapers that are all in the public domain and are provided by the Library of Congress through their Chronicling America newspaper program. So there is no issue with copyright. If it is from the government, how does that effect the copyright? but why i can't share my brush? i can't upload my zip flie. it always say my file must be a zip file and less than 100Mb. but my zip only 400kb but i can't up load. can you let me know why plzzz!